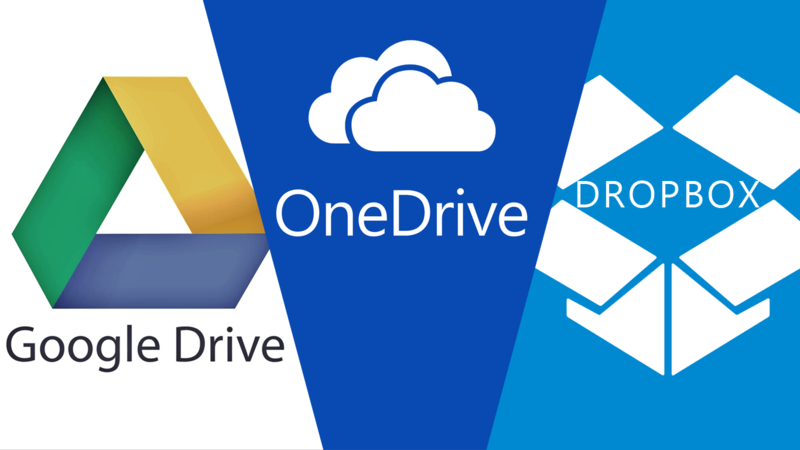 The desktop apps of Dropbox, OneDrive and Google Drive are very convenient in their file-saving ways but there are some things you should know about them. Their cache, for example, usually stays in your hard drive for a few days at least so that your files are always protected. With sensitive files, however, this can be a concern. It is also troubling when you are trying to save as much space as possible for that new GTA V installation. If you need some space in your PC immediately, let me tell you how you can empty the cache of your preferred storage service. 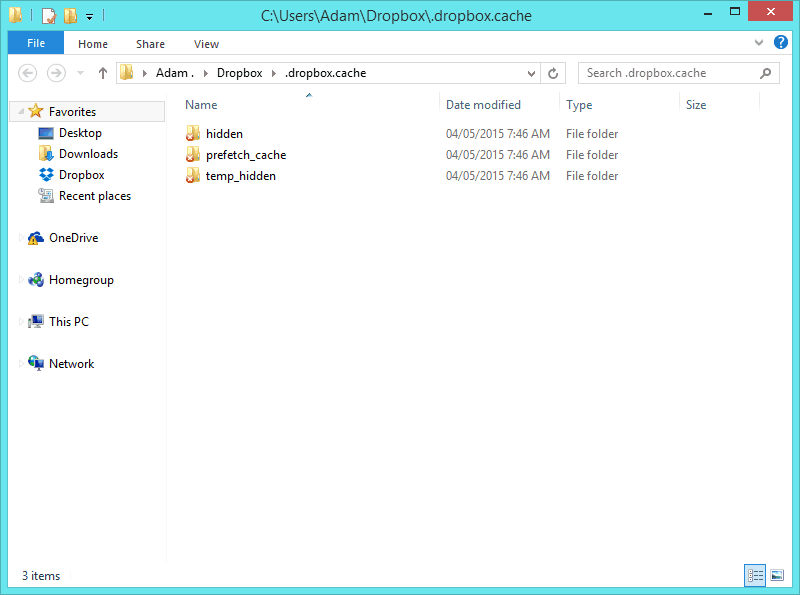 Out of the three services we are going to talk about here, Dropbox’s cache removal is the easiest one. Locate a single folder, delete some files and you can be on your merry way. 2. Then, open your Start menu or Windows Run utility (WinKey + R), paste it into the search field (Ctrl + V) and press Enter. 3. This should immediately take you into a folder with all sorts of different files. Bask at their glory for their time is up as you will have to delete every last one of them. If you want to get rid of them quickly, press Ctrl + A to select all the files and then Shift + Del to bypass the Recycle Bin and send them straight to oblivion. 4. If Windows tells you that some of the files are in use, consider yourself a victim of the thumbnail cache. To deal with this, open Disk Cleanup (cleanmgr.exe), select the “Thumbnails” option and clean away. If you go back to the Dropbox cache folder again you should be able to delete everything in there with ease. Microsoft’s own service is a bit more complex, particularly when you want to remove the cache in order to troubleshoot syncing problems. You see, OneDrive does have a specific folder for the cached files but since Microsoft’s services intertwine and integrate themselves into the OS, you will have to follow some additional steps to make sure the app’s cache is gone. 1. Stop all of your Office processes (groove.exe is OneDrive). 2. Go here C:\Users\%username%\AppData\Local\Microsoft\Office\Spw by copying and pasting the address into your Start Menu or Windows Explorer. Delete all the files you find in there. 3. Go to C:\Users\%username%\AppData\Local\Microsoft\Office\15.0\OfficeFileCache by using the same method as above. Delete everything from here as well. Some files might be in use but do not worry about that. 4. You are pretty much done! 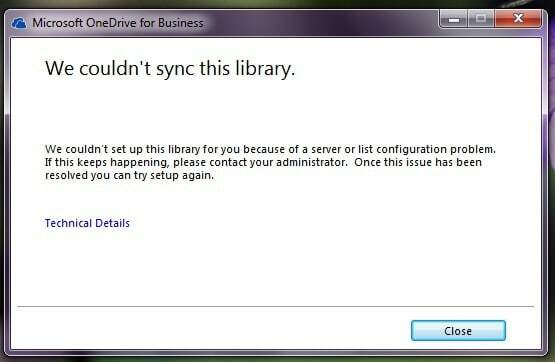 Note that some guides might tell you to also command OneDrive to stop syncing your files. Since you stop its process entirely, that move is probably overkill. However, if for some reason the steps described here did not work for you, feel free to do that as well. Though Google’s tools are usually pretty straightforward, cleaning the cache of your Google Drive is not an easy job. 1. 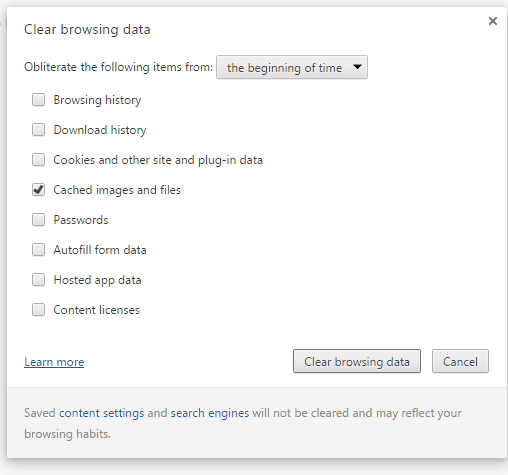 The first thing you should do is clear your Google cache. This is done in the Chrome browser but affects more Google services than one. Open Chrome and press Ctrl + Shift + Del or go to Menu > More tools > Clear browsing data. Select the “Cached images and files” from the list of items and hit the “Clear browsing data” button to complete the process. 2. The next thing you should do if you are having trouble with the syncing of your Google Drive files is much easier. Quit Google Drive, move a couple of files from your Google Drive folder to a different location, restart your PC and check if the files are being synced now. If they are, feel free to move the ones you dislocated back into Google Drive as soon as possible.